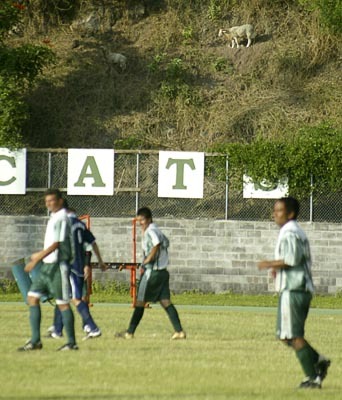 A pair of sheep go grazing above the Konawaena Wildcasts sign as they are oblivious to a big soccer game going on below. Finally back to work after taking three days off due to the bad cold. I’ve still got the cold but feeling better, I think the antibiotics and extra sleep is helping to knock the virus down.